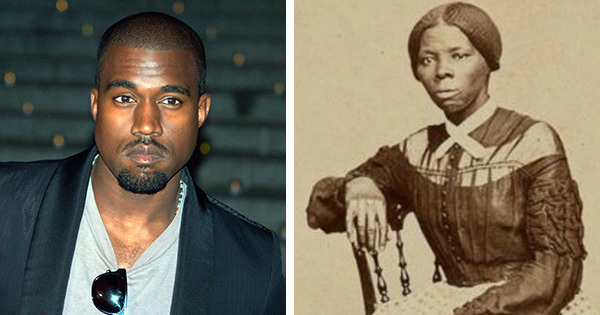 During his infamous rant about slavery, rapper/ producer Kanye West tweeted what he thought was a quote by Harriet Tubman. He tweeted that she once said, "I freed a thousand slaves I could have freed a thousand more if only they knew they were slaves." The problem, however, is that she never said that. The quote supposedly from the legendary founder of the underground railroad has been circulating on the internet for years, but it has never ever been confirmed by any credited historian or museum. Even more, there no preserved writings or audio clips of Tubman ever saying that. #1 - "Slavery is the next thing to hell." #2 - "I was the conductor of the Underground Railroad for eight years, and I can say what most conductors can’t say; I never ran my train off the track and I never lost a passenger." #3 - "Don’t ever stop. Keep going. If you want a taste of freedom, keep going." #4 - "I had reasoned this out in my mind; there was one of two things I had a right to, liberty or death; if I could not have one, I would have the other; for no man should take me alive." #5 - "Every great dream begins with a dreamer. Always remember, you have within you the strength, the patience, and the passion to reach for the stars to change the world." #6 - "I would fight for my liberty so long as my strength lasted, and if the time came for me to go, the Lord would let them take me." #7 - "I can’t die but once." #8 - "I prayed to God to make me strong and able to fight, and that’s what I’ve always prayed for ever since." #9 - "Now I've been free, I know what a dreadful condition slavery is. I have seen hundreds of escaped slaves, but I never saw one who was willing to go back and be a slave." #10 - "You'll be free or die."